…and I loves me some Jigga. These things y’all know about me. 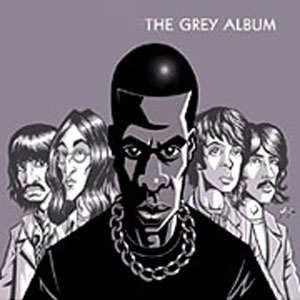 You’ve also heard me talk about a couple of the clever mash-ups that have been done with Jay’s ultra-popular pseudo-swan song, The Black Album. …which took music from The Beatles’ legendary White Album and mixed it with Jigga’s. …which took The Black Album and mixed it with Prince’s seminal work, Purple Rain. Now comes an absurdly cool mash-up that takes The Black Album and mixes it with scores from various James Bond films. It’s called The Black Bond Album. Enjoy, babies. Never let it be said I don’t keep y’all abreast. Previously: The Lo Zone: Mash-Up Paradise!!! Previously: The Lo Zone: HotDamn!!! ← Get Your Conversation & Drink On With Melicious Tonight!!! >I've been trying to leave a comment all day, but I think Blogger was trippin. Anyway this right here is on fire. I downloaded it immediately and I'm playing it right now.Thanks for turning us on to this, Lo! >I'm with Camelot. This is blazing! You think you've heard all the ways someone could flip Jigga's vocals, then something like this comes along and makes you say DAMN! >I don't know where Lo keeps finding this stuff, but her ability to introduce us to the new and wonderful is pretty uncanny. No misses as far as I'm concerned.Signed,D.D.PS–I tried to post this earlier just like Camelot said, but couldn't get through. >Lo, these are tight. I'm on my office computer so I can't download it here, but when I get home tonight (after I come from Mel's booksigning) I'm downloading it. >Free music! Free music!Free jamming Jigga music even better!